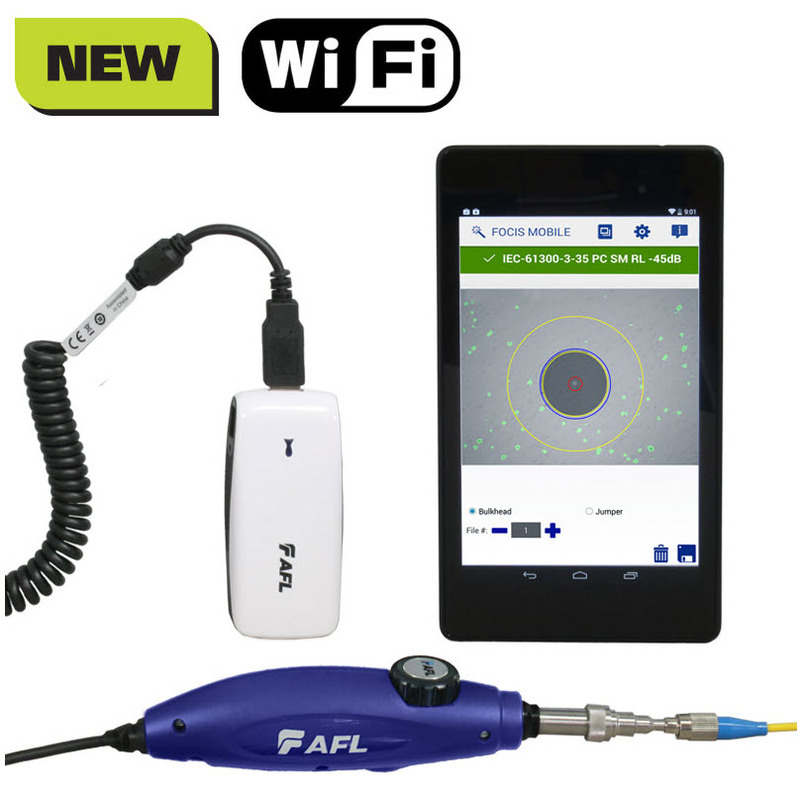 FOCIS WiFi PLUS - enables users to view, save, recall and share saved endface images via email, text or mobile cloud applications like Dropbox™ or Google Drive™ FOCIS WiFi combines the proven fiber connector inspection and analysis capabilities of our award-winning FOCIS and FOCIS PRO systems with the familiar, powerful and easy-to-use capabilities of a smartphone or tablet. No matter where your work takes you FOCIS WiFi is as mobile, agile and connected as you are. FOCIS WiFi PLUS MPO Kit. 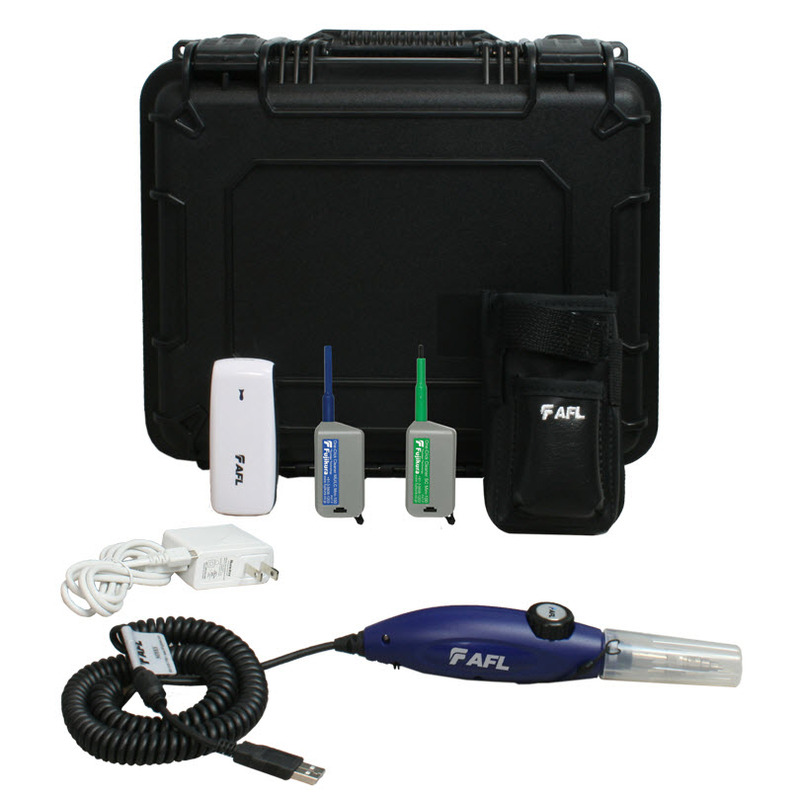 Includes DFS1 Digital FiberScope, Portable Application Link (PAL) with FOCIS WiFi PLUS firmware,MTP/PC and MTP/APC adapter tips, One-Click Cleaner MPO, AC adapter, FOCIS WiFi holster, hard carry case, adapter tip box.